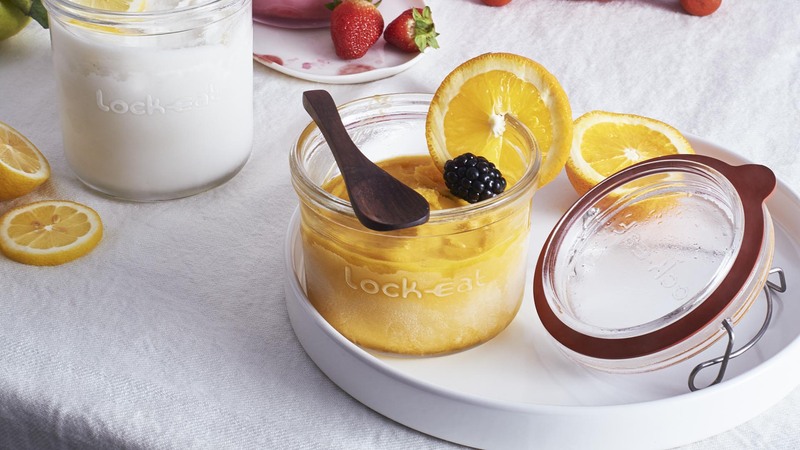 The Lock-Eat Food and Juice jars have a glass lid that can be completely removed making them practical to use, compact in size and easy to wash in a dishwasher. 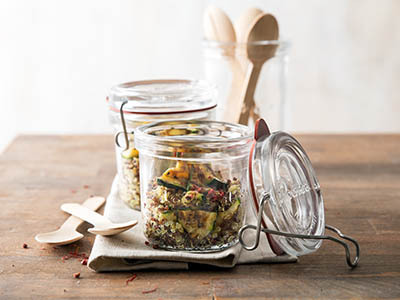 Lock-Eat jars are functional and particularly suitable for the presentation of single serving food (amuse-bouche) and the carafes are ideal for the serving of many types of drink. 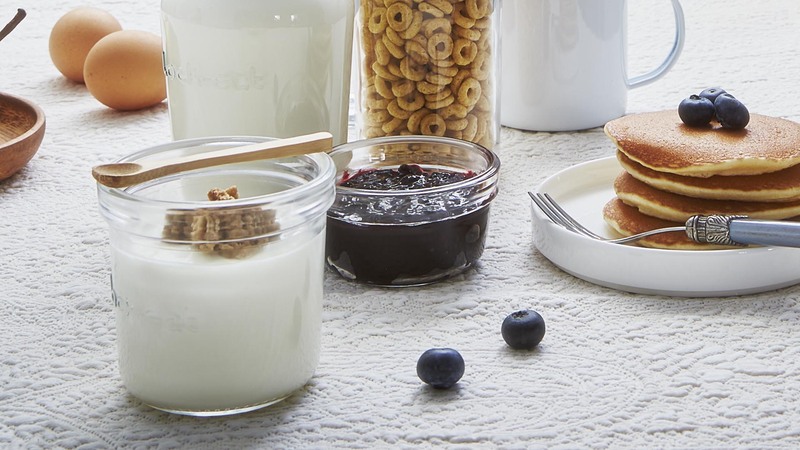 The Lock-Eat jar is sealed off from the surrounding air by means of glass lid, natural rubber gasket and stainless steel elastic clamp, avoiding the development of food bacteria. The pressure inside the jar increases in comparison to the external pressure during the heating. 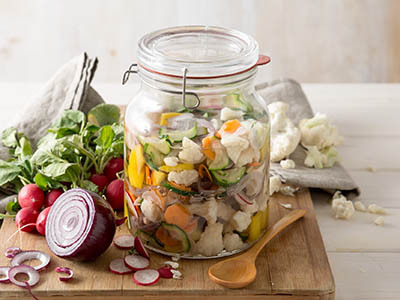 The stainless steel elastic clamp allows for the expulsion of internal air and steam present inside the jar, while this also avoids any entrance of any external air. Once the jar is completely cooled down the vacuum will have taken place inside the jar. The external air pressure will force the glass lid down onto the jar sealing it. 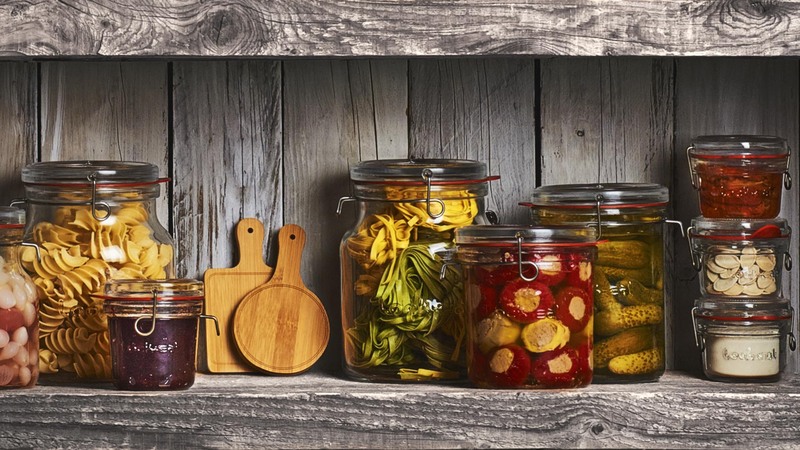 With Lock-Eat jars you can easily check the seals/vacuum either by lifting or removing completely the stainless steel elastic clamp and simply trying to lift off the glass lid and check if the lid releases. If the lid is sealed onto the jar, vacuum has taken place. Carrying out this simple test avoids the danger of inadvertently consuming spoiled food. 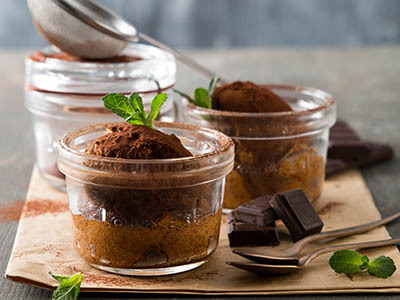 The innovative jars and glass lids have been created to present food in an original way; from appetizers and fingers food to desserts. They can be used for the service at the table, bar, buffet, breakfast, happy hours and on all special occasions. 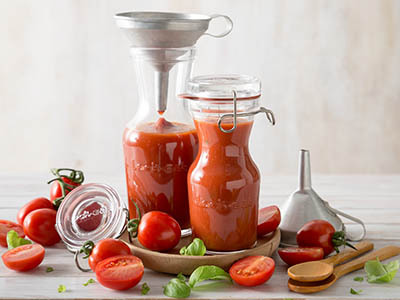 The Food and Juice jars have a glass lid that can be completely removed making them practical to use, compact in size and easy to wash in a dishwasher. 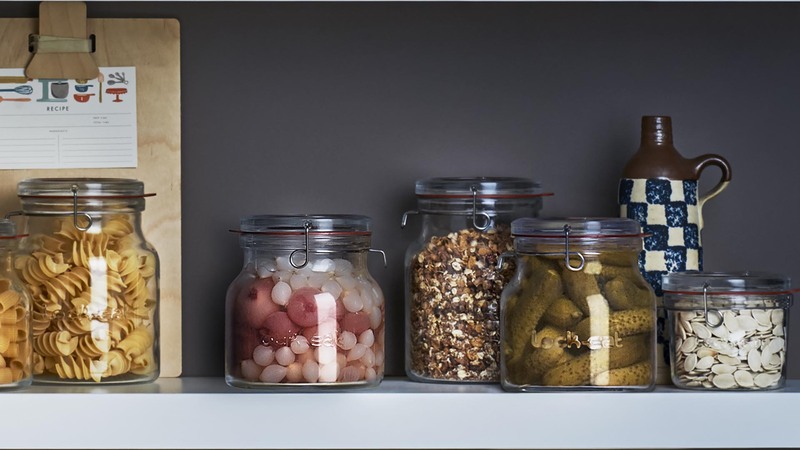 The collection is functional, multipurpose and at the same time an expression of contemporary design, particularly suitable for the presentation and service of single serving food (amuse-bouche).